The Camco 40045 filters have a durable inline mount to be used as an exterior filter on the water supply for your camper or RV. Its wider body increases flow rate to ensure that you have plenty of water for drinking or washing. Don't let water problems spoil your time on the road. 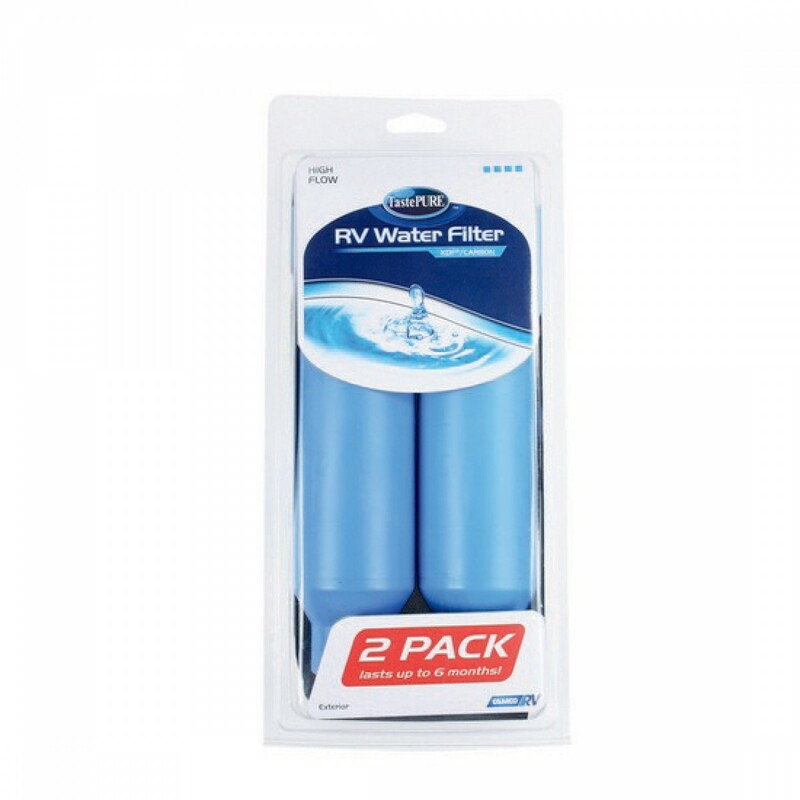 This reliable filter will supply you with great-tasting water wherever you pull in. Wide body provides a high filtration flow rate. Each filter has a larger capacity to last an entire season. Filters to 100 microns to reduce bad odors, tastes, chlorine, and sediment.